Nina Ozbey manipulates space, form, and dimension in her powerful abstractions rendered in oil on canvas. Her work, which began in the traditional realm of naturalistic watercolors, has evolved into a sophisticated system of mark making, wherein the artist relates to the blank space of the canvas, letting the brush guide her with each touch of paint. Intuitively applying her boldly gestural brushstrokes, Ozbey gives a primal sense of vital energy to her works. Shapes and lines interact to create unique spatial relationships which balance against each other with a musical sense of movement. In her paintings, which emulate the liquid qualities that initially drew her to watercolor paint and reminiscent of the work of abstract expressionists like Grace Hartigan, Ozbey uses a variety of techniques to cause the paint to drip down or smear across the canvas. By making such a strong gesture, the artist asserts her presence within the work, while at the same time, adding greater dimension, movement, and visual interest. Although the artist worked as a watercolorist for many years, she now devotes her artistic expression entirely to abstraction in oil on canvas. Nina Ozbey lives and works in Earlysville and exhibits her work in galleries throughout the United States. Each of Nina Ozbey's vibrant paintings has its own cadence. Some are fast-paced, abrupt, and persistent, while others are more measured, understated, and varied. 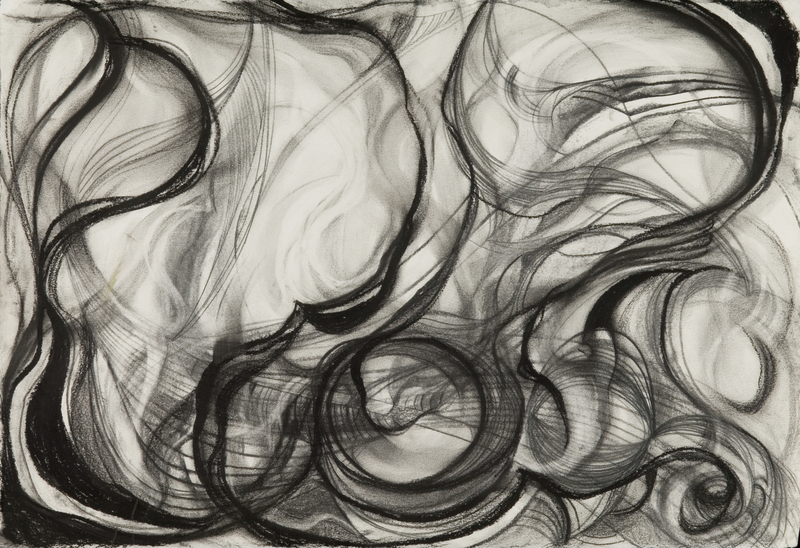 Still others begin with a measure, controlled rhythm and then erupt into a swirl of movement and color. Certainly akin to the abstract expressionism that percolated post-World War II art, Ozbey's work takes the reckless abandon of post-war expressionist painters into different mark-making territory. Like contemporary artist Cecily Brown's figurative and abstract work, Ozbey's emotive paintings are not as brash as they are intentionally lively. Born in Oklahoma City, Ozbey became a teacher after attending Oklahoma State University in the 1960s. She pursued art on her own, transitioning from figurative watercolors to emotive oil painting. The ways in which Ozbey's effusive marks fill the canvas suggest a certain maturity. Each painting offers insight into the ways in which nature and human life interact-sometimes life appears bleak and vast and sometimes it appears animated and accessible. Ozbey lives and works in Earlysville, Virginia.